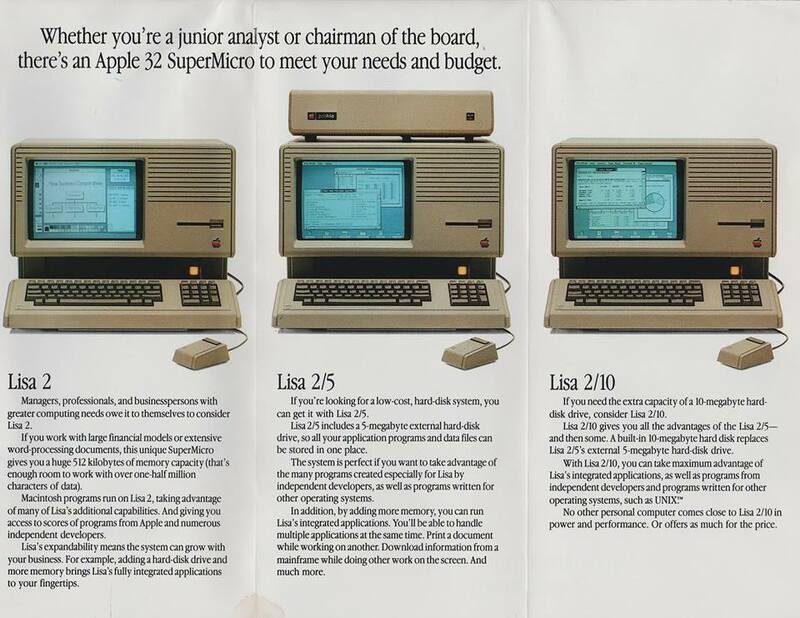 I’m not sure how Lisa and Macintosh brochures survived so long in my office, especially since I never owned an Apple computer–or even seriously considered buying one. But I thought these panels might have sentimental value for those of you who did go down that road, so I scanned them before committing them to the recycling bin. The first personal/desktop computer I ever laid hands on was the mighty Commodore CBM 8032, with 32K of RAM and the PET line’s first 80-column display. Northridge High School, across the parking lot from the middle school where I taught science, acquired a half-dozen or so of them for the 1980-81 school year. They were installed in a bare, windowless room which had something less than the interior volume of a school bus, and at first no one much knew what to do with them. I went over there after hours and laboriously copied programs in BASIC out of the back of computer magazines–that being the state of the art for freeware distribution at the time. By then Indiana University at South Bend, where I was working on my master’s degree, had a small lab equipped with Apple ][e computers used in an undergraduate programming course. There were no graduate-level courses in desktop computing–I had to get special permission to take the undergrad class and have it count toward the requirements for my degree. Those experiences gave me some basis on which to go shopping for my own computer the next year. (First two crossed off the list of candidates: the Apple ][e and the Commodore CBM.) Since this was a purchase which would require a bank loan for a sum greater than the cost of my first two autos, I went everywhere to look at everything available in a rapidly changing marketplace. I considered an Osborne 1, a Franklin Ace 1000, the TRS-80 (after all, Asimov endorsed it), and various CP/M 86 machines with brand names more familiar from cameras and stereo gear. In December 1982, I pulled the trigger on an IBM PC 5150 with a 64K expansion board, Amdek 300G monitor, and IDS Microprism 480 dot-matrix printer from General Micro for the low, low price of $3626.23. The IBM’s big selling point: the keyboard, which despite a couple of quirks in the layout put everyone else’s keyboards to shame. That was a keyboard someone could write a million words on, and I almost did – EMPRISE, ENIGMA, EMPERY, THIEVES OF LIGHT, ROBOT CITY, ALTERNITIES, and THE QUIET POOLS. The first two were written with EasyWriter II, the rest with XyWrite III+. I’ve purchased or built 51 other computers since that IBM PC (many for other family members), and I am obliged to note that the more capable my computers became the less productive I became. A color monitor, speakers, a CompuServe subscription, a GEnie account, an Internet connection, a personal Web page, Facebook, –the mission creep has been unrelenting. You could make a case that every one of those was a bad decision with an opportunity cost in unwritten novels. The ‘smart typewriter’ in the home office turned into the multimedia communications device that’s everywhere and everywhen. But there’s no going back, is there. Not to a big box on a desk in a special room you visit to “work,” with three programs (spreadsheet, word processor, flatfile database) to choose from and no distractions. So I’ll have to figure out a different way to find the kind of quiet place in which I do my best writing. Because damn it all, I am not finished yet.